Biology, History, Commerce and Book-Keeping Teachers. The Posts call for highly qualified, mature, self-motivated and of a fairly high personal integrity. The candidates must be degree holders with at least 5 years of teaching experience. Experienced teachers will be offered a good package. All applications accompanied by copies of relevant certificates, testimonials and CVs should be sent via e-mail only to applications@fezaschools.org before 07th December 2018. Indicate your telephone number in the CV for quick communication. 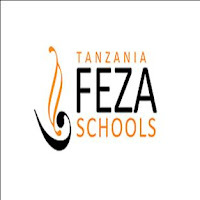 All applications accompanied by copies of relevant certificates, testimonials and C Vs should be sent via e-mail only to applications@fezaschools.org before 07th December 2018. Indicate your telephone number in the CV for quick communication.